For over 51 years, industrial manufacturers, commercial contractors, brokers, and homeowners have trusted Mann Metals to buy and recycle their scrap metal. 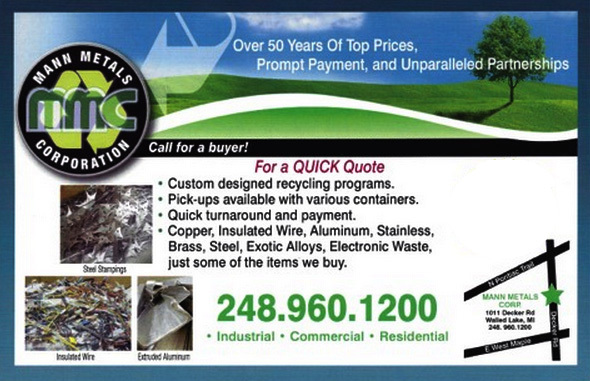 We buy and sell all types of non-ferrous and ferrous scrap metal, precious metals, e-waste, and surplus at our state-of-the-art facility. We adhere to sustainable recycling practices.